Dad had met with an accident and got his legs badly injured. He had been bed ridden for many months. The helplessness of being dependent on others was written all over his face. Everyone in the family tried best to hide the sadness in hearts and pretended to be hopeful. My mom, the 'not-so-religious' kind of woman, in her deepest emotions committed to herself to pay her reverence to Nau Deviyaan at the holy shrines when dad recovers with all family members. Mom wanted to fulfill her Mannat by visiting Nine Goddesses for their blessings. So the whole family started for the auspicious journey in the pleasant weather of October. Me as a teenage gal with my siblings took the whole episode as an adventurous as well as enjoyable trip to various destinations starting from Chamunda Devi, Kangra Devi, Jwalaji, Chintpurni Devi, Naina Devi, Kalika Devi, Shakumbhari Devi, Mansa Devi to Vaishno Devi. This fear controlled my life for many years and escaped myself of situations wherever I could expect myself trapped in small spaces.... But like all of us Earthlings, I wanted to live fearless and had the willingness to deal with darkest of fears coz I could not imagine myself as a brain-dead being... Without letting my mouth utter a word to others, I started working upon minimizing the exaggerated sensations in my mind that arose out of scariest feeling of suffocation. Though it was harder to convince myself that my plan is succeeding when I had no idea how long I’ll have to keep trudging along before some meaningful change comes my way. I remember my intentional entries within subways, rooms with least space and lower ceiling and over crowded public place so that I might ensure that my 'fear-confronting' project worked to some extent. Slowly and gradually, my discomfort turned his back towards me and unhelpful situations got friendly with my inherit courage. I'm a firm believer of this fact now that when life leaves you with no choices, then only YOU tear off the veils of non-existing fears and blow the drums of winning over the situations. I take pleasure to give my 'FEAR' that much-deserved credibility of making me confident and mettlesome. :) The similar idea is depicted in this Mountain Dew film. 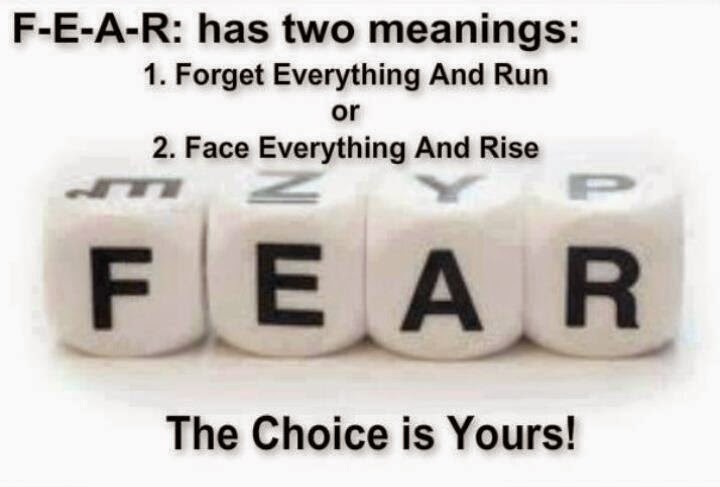 I'm proud to #RiseAboveFear and whats your story all about!! This post has been written exclusively for #RiseAboveFear Happy Hours activity by Indiblogger in association with Mountain Dew India. when we take that 1st step ahead boldly then success will be ours! Like you even I had experienced such moments where I was left behind with nothing but fear, but with my confidence and with the things i learnt from my parents I came out of it successfully!! Feel bad about the news about your father and I wish and pray nobody in your house ever face such situation. Even I also had a situation where I felt helpless, when me and my father talking together and suddenly his breadth stuck in mid and his body gets rigid to move ... I had screamed like hell and just after few seconds he got normal. Your way of writing is amazing and I really felt like you or can imagine how you were feeling while felt suffocated. Hey Shilpa, after reading your fearless story I am totally inspired & I suggest you can write a book too. Trust me I will be the first person to buy the book written by you. I have always believed in the quote where it is said, "Life is not a bed of Roses" Everybody in life has something or the other thing which they hide from others just so that nobody finds out the imperfection one has. But one should understand that it is not an imperfection but just the fear inside them which needs to be overcome like you did. And I must say you are very brave to let others know about it too. I salute you for that. I too would like to share today that I always feared going in elevators thinking what if it stops & I get suffocated inside & die. But I have overcome it today but it took me years together to overcome out of it I must say. So, I guess I too chose to Face everything & Rise!!! I have a fear of heights and you are a courageous lady to get over your fear.